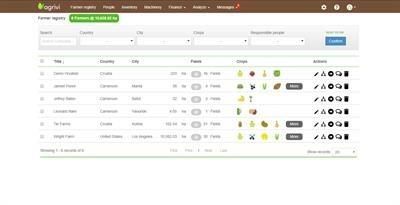 The story of Agrivi began when Matija Zulj, the founder of Agrivi, decided to leave the corporate ICT world and dedicate his time and effort to solving the global food problem. First, he decided to become a farmer himself to understand what it exactly means to grow crops and he planted his own blueberry farm. Very soon he experienced the real farmer’s world – he couldn’t access the best practice knowledge for growing blueberries and there was no simple, yet affordable software on the market that could help him make data-driven decisions. At the time, in 2013, Matija founded Agrivi with a vision to change the way food is produced in its core and positively impact one billion lives by helping farmers reach sustainable, resource-efficient and profitable production.